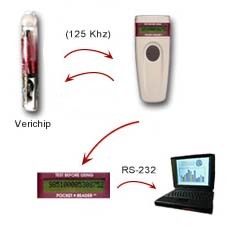 The well known names “Verichip” (2001) and “Digital Angel” (2000) were the next generation of RFID, but as the idea of this technology was discussed in the media, people had growing concerns over privacy and health effects. In addition, the Cell Phone industry was already under critizism from users getting brain tumours, which may have set back the RFID implant industry in the early 2000’s. 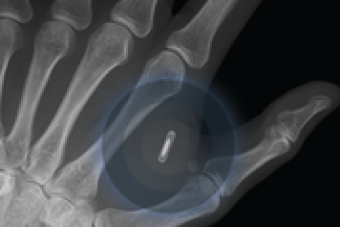 Since that time the company has changed names and is now under the brand names Positive ID (PSID) and Veri Teq, mostly focusing on devices to assist various medical fields, however they are likely still considering the implant rfid for future usage at some point. Even with the radiation risks, some believe it will be implemented via the Obamacare Health plan as shown in videos below. It is interesting to see the change in frequency from 460 MHZ to 134 kHZ. Spectum IEEE thinks its only going to send data a few centimetres, where below, Digital Angel and Verichip were thinking longer distances – to cellular antennas and satellites. PALM BEACH, FL — December 19, 2001 – – Applied Digital Solutions, Inc. (Nasdaq: ADSX), an advanced digital technology development company, announced today that it has developed a miniaturized, implantable identification chip — called VeriChip™ — that can be used in a variety of medical, security and emergency applications. Hundreds of thousands of medical devices are surgically implanted into patients every year. Examples of these life-saving and life-enhancing devices include pacemakers, artificial joints, orthopedic hardware, heart valves, and medication pumps. After insertion, these devices often require adjustment, repair, replacement, or even recall. VeriChip, inserted subdermally just above the implanted medical device, provides patients, medical providers, and manufacturers with a rapid, secure and non-invasive method for obtaining medically critical information about the device. VeriChip is a ready source of data about the patient’s name and condition as well as the medical device’s original components, required settings and other essential parameters. Future applications may include full medical record archival/retrieval for emergency medical care. Personal identity verification technology has gained considerable interest recently. A great deal of focus has been trained on so-called “biometric” technologies – which identify individuals by their unique biological or physical characteristics, such as fingerprints, voiceprints, retina characteristics, and face recognition points. VeriChip, by contrast, relies on imbedded, tamper-proof, microchip technology, which allows for non-invasive access to identification, medical and other critical data. Use of advanced VeriChip technology means that the threat of theft, loss, duplication or counterfeiting of data is substantially diminished or eliminated. Specific application areas include: enhancement of present forms of identification, search and rescue, and various law enforcement and defense uses. “Target market for The VeriMed system consists of people who are more likely to require emergency medical care, persons with cognitive impairment, persons with chronic diseases and related conditions, and persons with implanted medical devices. CHIP believes their system will be of use for emergency personnel and first responders. Personally, I foresee a myriad of technology issues here. If these systems are sold to healthcare plans, hospitals or individual potential patients, to hold any value whatsoever the unresponsive future patient would have to be at or taken to a facility using the database with that patient’s information. If these were purchased by facilities, they’re already going to have medical information readily available for their patients in their existing databases. This system would only have value if a patient is brought in ‘cold’ meaning a hospital or facility would have no existing information on this patient. That is the entire purpose of reading the implanted chip. In that case, what really would be the odds that an implanted patient would just happen to end up being taken to a facility or hospital that bought the system and has access to the database linking the patients implanted chip with the patient information???? To kickstart the chip’s use among humans, Applied Digital will provide $650 scanners for free at 200 of the nation’s trauma centers. Ultimately, the company hopes patients who suffer from such ailments as diabetes and Alzheimer’s or who undergo complex treatments, like chemotherapy, would have chips implanted. If the procedure proves as popular for use in humans as in pets, that could mean up to 1 million chips implanted in people. So far, just 1,000 people across the globe have had the devices implanted, very few of them in the United States. 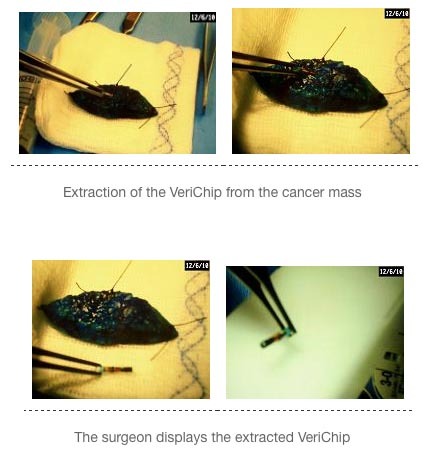 Could a microchip implant like the VeriChip cause cancer? A French Bulldog named Léon was the catalyst for new questions about the safety of RFID implants. One year ago, Léon’s owner contacted me with startling news. She believed that her dog’s cancerous tumor and his untimely death might have been caused by a microchip implant. This was not just idle talk by a grieving dog owner grasping at straws to figure out why she had been robbed of her constant companion. This was a gutsy lady who refused to allow the vet to simply cremate the evidence. This lady prefers to be known only by her first name of “Jeanne,” so the Associated Press couldn’t credit her properly as the original source for some of the explosive information in its article “Chip Implants Linked to Animal Tumors,” but I have the leeway in this forum to share the behind-the-scenes story. Jeanne spent a small fortune trying to cure her ailing French bulldog, Léon, after he was diagnosed with cancer in 2004. When medical interventions failed and Léon passed away, she decided to hunt for the reason the fatal tumor in his body was attached to the glass-encapsulated microchip that had been injected into his neck for identification purposes. Jeanne located a team of researchers in Italy who agreed to test tissue samples from a biopsy of Léon’s tumor to determine if the microchip was implicated in his aggressive cancer. They documented their findings in a 2006 paper entitled, “Fibrosarcoma with Typical Features of Postinjection Sarcoma at Site of Microchip Implant in a Dog: Histologic and Immunohistochemical Study.” The full text is available online at: http://www.vetpathology.org/cgi/content/full/43/4/545. Jeanne informed us of this research and even faxed us copies of these studies as they were difficult to obtain. Fortunately, mySpychips co-author Dr. Katherine Albrecht had access to the Harvard library and was able to take Jeanne’s work further, analyzing additional studies that seemed to support a cancer-microchip link in animals. Sometime later, AP Reporter Todd Lewan entered the picture, eager for an exclusive. He used his press credentials to gain further information, tie up the story with a perfect, documented bow, and broadcast it to media outlets around the world. He and Katherine tirelessly pursued the truth that you can now find published in the explosive AP story. I promised Jeanne that Katherine and I would share the whole story, and that Léon would be remembered for his contribution. Here’s to you, Jeanne and Léon! I’m so sorry it took tragedy for this information to be brought to light. I applaud your tenacity, bravery, and amazing research skills. Chips: High tech aids or tracking tools? The article is highlighted on the Drudge Report and is printed in over 200 newspapers and news outlets around the country, including USA Today, Business Week, Forbes, Fox News, and the Washington Post. I spoke with Todd Lewan, the AP reporter who wrote the story, and told him everything we know about the downsides of the VeriChip Corporation and its dangerous, Big Brother plans to chip the public. (Liz and I have been posting these stories on our Spychips.com website for several years at http://www.spychips.com/press.html) . Mr. Lewan independently verified many of our concerns and discussed them in the article. Back in May after our West Palm Beach protest, I asked you all to be patient, as the truth about the VeriChip would soon be coming out. Now our efforts to alert the public are beginning to bear fruit. Sit tight. This is just the start of the backlash. “We stand by our implantable products which have been approved by the FDA and/or other U.S. regulatory authorities,” Scott Silverman, VeriChip Corp. chairman and chief executive officer, said in a written response to AP questions. The company was “not aware of any studies that have resulted in malignant tumors in laboratory rats, mice and certainly not dogs or cats,” but he added that millions of domestic pets have been implanted with microchips, without reports of significant problems. No, said Dr. Steven Stack, an AMA board member with knowledge of the committee’s review. Published in veterinary and toxicology journals between 1996 and 2006, the studies found that lab mice and rats injected with microchips sometimes developed subcutaneous “sarcomas” _ malignant tumors, most of them encasing the implants. _ A 2006 study in France detected tumors in 4.1 percent of 1,260 microchipped mice. This was one of six studies in which the scientists did not set out to find microchip-induced cancer but noticed the growths incidentally. They were testing compounds on behalf of chemical and pharmaceutical companies; but they ruled out the compounds as the tumors’ cause. Because researchers only noted the most obvious tumors, the French study said, “These incidences may therefore slightly underestimate the true occurrence” of cancer. _ In 1997, a study in Germany found cancers in 1 percent of 4,279 chipped mice. The tumors “are clearly due to the implanted microchips,” the authors wrote. Caveats accompanied the findings. “Blind leaps from the detection of tumors to the prediction of human health risk should be avoided,” one study cautioned. 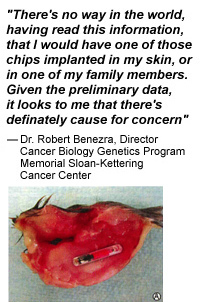 Also, because none of the studies had a control group of animals that did not get chips, the normal rate of tumors cannot be determined and compared to the rate with chips implanted. Dr. George Demetri, director of the Center for Sarcoma and Bone Oncology at the Dana-Farber Cancer Institute in Boston, agreed. Even though the tumor incidences were “reasonably small,” in his view, the research underscored “certainly real risks” in RFID implants. In humans, sarcomas, which strike connective tissues, can range from the highly curable to “tumors that are incredibly aggressive and can kill people in three to six months,” he said. At the Jackson Laboratory in Maine, a leader in mouse genetics research and the initiation of cancer, Dr. Oded Foreman, a forensic pathologist, also reviewed the studies at the AP’s request. At first he was skeptical, suggesting that chemicals administered in some of the studies could have caused the cancers and skewed the results. But he took a different view after seeing that control mice, which received no chemicals, also developed the cancers. “That might be a little hint that something real is happening here,” he said. He, too, recommended further study, using mice, dogs or non-human primates. To date, however, that hasn’t happened. When prompted by an electromagnetic scanner, the chip transmits a unique code. With the code, hospital staff can go on the Internet and access a patient’s medical profile that is maintained in a database by VeriChip Corp. for an annual fee. VeriChip Corp., whose parent company has been marketing radio tags for animals for more than a decade, sees an initial market of diabetics and people with heart conditions or Alzheimer’s disease, according to a Securities and Exchange Commission filing. When the FDA approved the device, it noted some Verichip risks: The capsules could migrate around the body, making them difficult to extract; they might interfere with defibrillators, or be incompatible with MRI scans, causing burns. While also warning that the chips could cause “adverse tissue reaction,” FDA made no reference to malignant growths in animal studies. Dr. Katherine Albrecht, a privacy advocate and RFID expert, asked shortly after VeriChip’s approval what evidence the agency had reviewed. When FDA declined to provide information, she filed a Freedom of Information Act request. More than a year later, she received a letter stating there were no documents matching her request. FDA’s Watson said: “I have no recollection of him being involved in it at all.” VeriChip Corp. declined comment. The Project on Government Oversight called Thompson’s actions “unacceptable” even though they did not violate what the independent watchdog group calls weak conflict-of-interest laws. “A decade ago, people would be embarrassed to cash in on their government connections. But now it’s like the Wild West,” said the group’s executive director, Danielle Brian. Applied Digital Solutions, Inc. (Nasdaq: ADSX – News) an advanced technology development company, announced today that it has made a $30 million payment to IBM Credit, LLC, the Company’s former senior secured creditor. Under the Forbearance Agreement with IBM Credit (announced on March 27, 2003), the Company had the right to purchase all of its debt of approximately $95 million (including accrued interest) with a payment of $30 million by June 30, 2003. This $30 million payment, which was finalized today, satisfies in full the Company’s debt obligations to IBM. In 2002, Applied Digital Solutions and Digital Angel Corporation (AMEX: DOC), which is majority owned by the Company, reported consolidated revenues of $99.6 million. The payment to IBM Credit increases the Company’s cash flow and liquidity. With this payment, the Company has also significantly strengthened shareholder equity on its balance sheet, increased its net worth, and eliminated the negative cash flow for IBM debt payments. The Company also expects to recognize a gain from the settlement of the IBM debt. Simultaneous with the $30 million payment, the Company completed a $10.5 million, 8.5% convertible debenture transaction with an investor group. The investors can convert the debentures into shares of ADSX’s common stock (subject, in part, to shareholder approval) or shares of common stock the Company already owns in Digital Angel Corporation. The fixed-price conversion feature represents a 5.0% premium based on current ADSX market prices, subject to dilution provisions. Subject to certain conditions, the regular interest (8.5% per annum) and amortization payments for the 29-month debentures (due June 29, 2006) may be made (at the Company’s option) in cash or the shares the Company owns in DOC. In addition, ADSX has granted warrants to the investors that are exercisable for approximately 5.35 million shares of ADSX’s common stock, or 950,000 of the shares the Company owns in DOC, or a combination of shares from both companies. The exercise prices represent a 15% premium based upon current market prices, subject to dilution provisions. The warrants vest immediately and expire in June 2007.
worldwide use in tracking human beings. Inc. had its debut Monday before an overflow crowd of more than 300 invited guests at Cipriani 42nd Street in New York City. The audience included U.S. Secretary of Commerce Norman Mineta, who addressed the crowd, as well as other government officials, potential joint-venture/licensing partners and press representatives. Randy Geissler, chairman and CEO of Digital Angel.net Inc., a wholly owned subsidiary, zeroed in on potential applications. 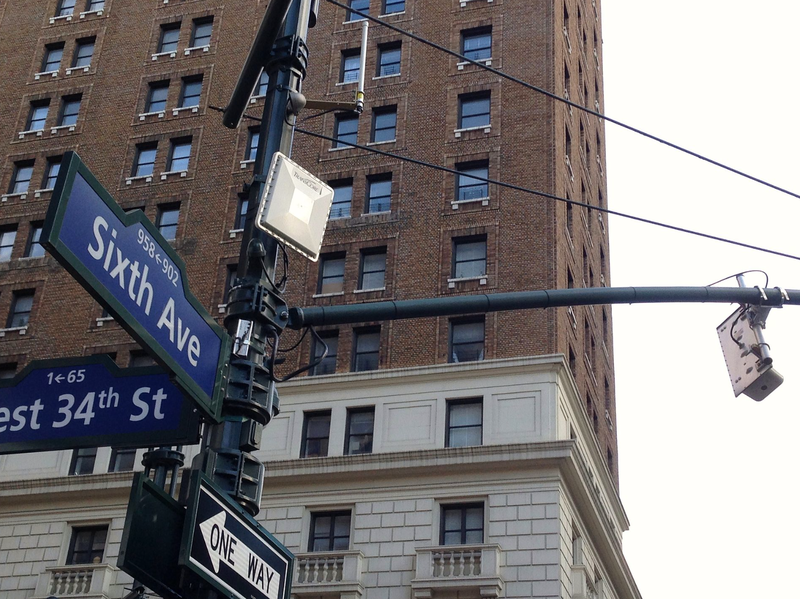 The demonstration, which was conducted by Dr. Peter Zhou and Dr. Keith Bolton, showed how Digital Angel “can be used to monitor a person’s key body functions — such as temperature and pulse — and transmit that data wirelessly, on a real time basis, along with the accurate location of the person, to a web-enabled ground station or monitoring facility,” according to a press statement. The technology consists of a miniature sensor device, designed to be implanted just under the skin, that captures and wirelessly transmits the “wearer’s” vital body-function data, such as body temperature or pulse, to an Internet-integrated ground station. 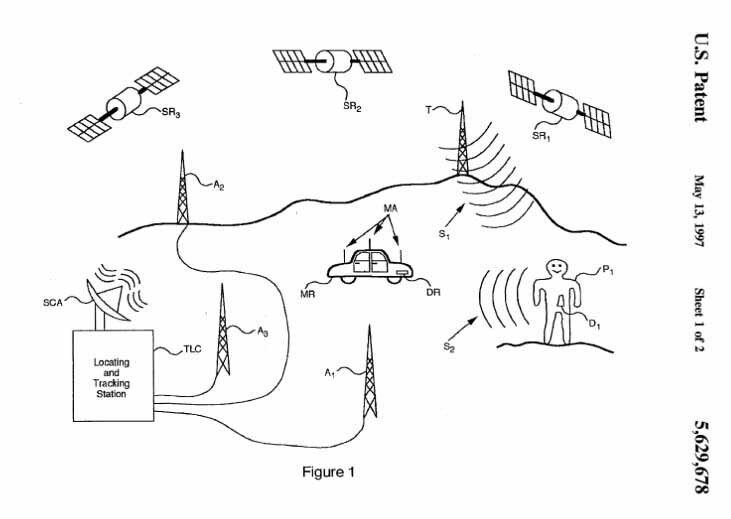 In addition, the antenna receives information regarding the location of the individual from the GPS satellite. 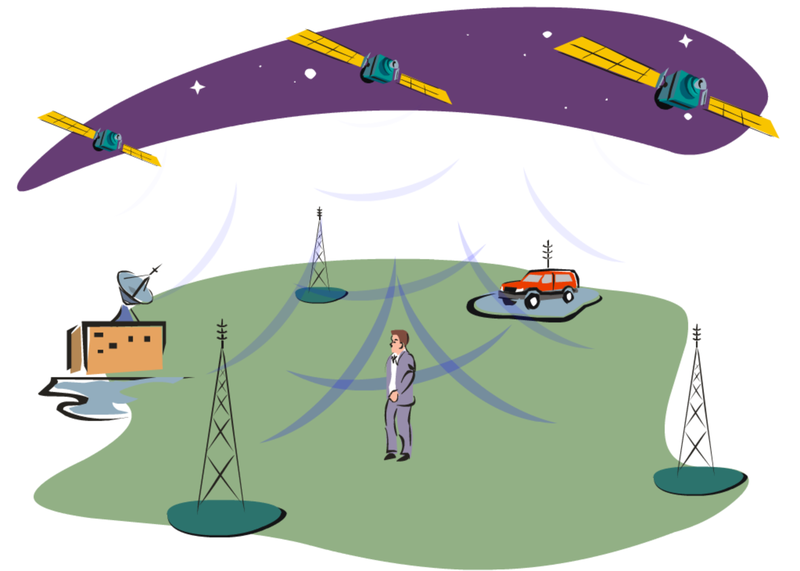 Both sets of data — medical information and location — are then wirelessly transmitted to the ground station and made available on Web-enabled desktop, laptop or wireless devices. A more sophisticated version of microchip technologies currently used as electronic ID tags for pets, Digital Angel is powered electromechanically through muscle movement, or it can be activated by an outside monitoring facility. As WorldNetDaily has reported, in addition to locating missing persons and monitoring physiological data, Digital Angel will be marketed as a means of verifying online consumer identity for the burgeoning e-commerce world. And in an interview last March, the chief scientist, Zhou, told WorldNetDaily he believes the implant will be as popular as cell phones and vaccines. Digital Angel “will be a connection from yourself to the electronic world. It will be your guardian, protector. It will bring good things to you,” said Zhou. “We will be a hybrid of electronic intelligence and our own soul,” he added. The various parts of ISO/IEC 18000 describe air interface communication at different frequencies in order to be able to utilize the different physical behaviors. The various parts of ISO/IEC 18000 are developed by ISO/IEC JTC1 SC31, “Automatic Data Capture Techniques”. Last year we reported that Bob Boyce, the highly-revered inventor of ultra-efficient electrolysis systems and of a self-charging battery circuit (harnessing energy from the environment, possibly from zero point energy), had contracted terminal cancer and that the originating point was a VeriChip microchip that someone implanted in his right shoulder without his knowledge or permission. He had a chip removed, but it turned out that another chip was still in there, implanted deeper, as confirmed by an X-ray. He’s lived with that one for a year, but finally had it removed yesterday at the Fannin Regional Hospital in Blue Ridge, Georgia. 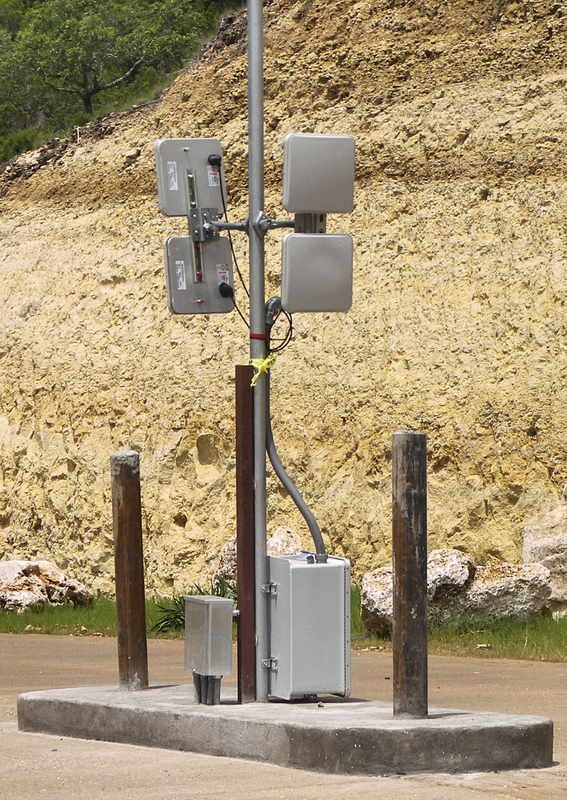 If they understood the radiation exposure, they likely would not have tested these on humans. Read the links about Dogs with Cancer. …Trump’s plan includes a “revolutionary” method for locating and tracking individuals who have been or are scheduled to be deported from the United States. Australian ABC writes about Swedish company in Stockholm where 150 employees joined on ‘offer’ free rfid implants. Warning to this harmful technology. Unfortunately, the employees have not been given the whole picture. Wonder what tests have shown that such implants does not cause serious health risks in the long run? Has the evolving industry done the tests themselves? Epicenter’s chief experience officer Fredric Kaijser, who is also microchipped, said it was common for people to ask him about it when they first found out he had an implant. “They all get excited about privacy issues and what that means and so forth,” he said. Certainly the technology could mean trading off an amount of a person’s privacy in exchange for the convenience it offers. Ben Libberton, a microbiologist from the Swedish thinktank and research organisation the Karolinska Institute, said the data that could be accessed from the embedded chip was very different from the data found on a person’s smartphone. “Conceptually you could get data about your health, you could [get] data about your whereabouts, how often you’re working, how long you’re working, if you’re taking toilet breaks and things like that,” he said. Sandra Haglof, who works for the Stockholm-based event company Eventomatic, said she chose to get the chip because she wanted to be “part of the future”. A SWEDISH train company is letting passengers use microchip implants in their hands to pay for train journeys instead of paper tickets. Rail operator SJ claims that up to 100 customers are already the system to board trains, using a tiny flash memory drive surgically embedded under their skin. To use the service, passengers on the government-run network have to already have a microchip implant, as SJ doesn’t sell the futuristic technology to its customers. Up to 20,000 people in Sweden already have microchips implanted in their hands – mainly for use at work instead of a plastic ID card to open doors, use printers and pay for food. SJ Press Officer, Stephen Ray, told Sun Online that the idea was put forward by a tech company in Stockholm called Epicenter, whose staff already have the chips installed and thought it would be convenient to use them for train travel as well. The ticketing system uses the same NFC – or Near Field Communication – technology as Oyster or Contactless Cards. Mr Ray admitted that the project hasn’t been without its teething troubles or privacy concerns though. One early flaw in the system meant that while using their company smartphones to validate a customers microchip, rail staff would sometimes be shown a passenger’s LinkedIn profile instead of their SJ ticket info. Apparently some customers had also programmed their microchips to give out a “digital business card” in the form of their LinkedIn profile when scanned by an NFC enabled smartphone, and this was being sent to the conductor’s phone instead of the customer’s train ticket details. Peter Dahlqvist, Head of SJ Business Sales said: “SJ is already one of Sweden’s most digital companies, so this new project could be started up very quickly. The European Parliament A4-0005/1999 Paragraph 27 calls for a worldwide ban on weapons that might enable “any form” of the “manipulation of human beings”. The United Nations Institute for Disarmament Research (UNIDIR) formally listed a special category of psychotronic [psycho-“mind” & tronic=”electronic”] mind control and other electromagmentic resonance weapons in their 2002 Media Guide to Disarmament. Some workers at a company in Wisconsin will soon be getting microchips in order to enter the office, log into computers and even buy a snack or two with just a swipe of a hand. Todd Westby, the CEO of tech company Three Square Market, told ABC News today that of the 80 employees at the company’s River Falls headquarters, more than 50 agreed to get implants. He said that participation was not required. The microchip uses radio frequency identification (RFID) technology and was approved by the Food and Drug Administration in 2004. The chip is the size of a grain of rice and will be placed between a thumb and forefinger. Critics warned that there could be dangers in how the company planned to store, use and protect workers’ information. “I’m certain that this will be the natural way to add another dimension to our everyday life,” he told The Associated Press. Although we have heard rumors of micro-chipping Americans becoming a reality in this “brave new world” of technology for years, a big Wisconsin company was first to take the plunge into this dangerous territory. With being the first to accept this risk, the company and their apparently pretty dedicated employees also put themselves in the position of finding out for the rest of us what the ramifications of this experimental decision are. Your personal safety, privacy, and general way of life as you know it is at risk with this intrusive technology that’s now being forced on Americans in what should be a free country. This microscopic chip compromises all that we hold dear and the surfacing “side effects” appear to be worse than anticipated just 24 hours after the first citizens of the United States accepting this as a good idea. While talk of the introduction of this little chip used to seem like a conversation among a private society of tinfoil hat conspiracy theorists, until yesterday, this terrifying reality now coming to a workplace near you. Before you’re sold on the idea of convenience and a new era of technology, you need to know what’s been revealed in the last few hours since the inception of this surgically implanted tracking device. More importantly, it needs to be stopped before it takes off even more than it seems to already have. The Wisconsin-based company who was the first to take this idea and make the chip has announced plans to expand and get the technology out to other companies for “convenient” implants to be used on their employees. This is especially the case for certain companies with high-security levels where fraud is likely. The implants, which are basically tracking devices to void your constitutional right to privacy, are inserted in the webbing of the hand between the thumb and index finger. They are designed this way to allegedly make it easier to get through doors and other security check points that would typically require some sort of ID or card. “The fun part comes in where they promise that these chips aren’t in any way GPS enabled and can’t be used to read information, only hold information that you might need to use, like using multiple magnetic strips with the swipe of a hand,” Freedom Daily first reported about the introduction of this big idea. “And they will no doubt notify us right away when they decide to GPS enable these chips because big brother never does anything underhanded and keeps it a secret,” the article added, pointing out the obvious privacy issues for the employee, using snark. Now that the technology is available and presented to the masses in America to use, it only took a few short hours for companies across the country to eagerly get on board with this intrusion. The immediate side effect of this technology was the warning that it’s now going to be a regular part of society, with the projection that by the end of 2017, every American will have one of these in their hand. “According to NBC, this revolution will cause major concern, because people will ask themselves if they really are who they say they are,” the report continued. Many may wonder how this could possibly be constitutional in a free country like America. Just with all gross government overreach, we can thank Barack Obama’s time in office for trampling on our rights to privacy since House Bill H.R. 4872, under the National Medical Device Registry on page 1014, allowed it as an implantable Class II device. “The RFID microchip allows the government to see our motion, control our food and manage our money. Some experts even speculate that this incredibly small device can kill the person which carries it,” according to Health Fit Point. Featured at www.ChipMeNot.org, a website launched to raise awareness about the harm caused to animals by microchips, the lawsuit alleges that Merck’s HomeAgain pet microchip induces cancerous tumors in pets. According to the suit, the defendant’s cat developed cancer after getting a chip implant, and according to reports, other animals have gotten cancer after getting chipped as well. Albrecht presented a paper on the subject called “Microchip-Induced Tumors in Laboratory Rodents and Dogs: A Review of the Literature 1990-2006” (http://www.chipmenot.org/pdfs/P074.pdf) at the June conference of the Institute of Electrical and Electronics Engineers that documents the increasing number of animals being harmed by microchips. Currently, there is no repository of data on adverse events associated with microchips in the U.S., but Albrecht organization, CASPIAN, is filling that void by compiling such information and making it available to the public. PositiveID Corporation (“PositiveID”) (Nasdaq:PSID), a leader in next generation patient monitoring and diagnostics, announced today it has partnered with Connected Development to complete the final stage of development of its iglucose™ product. PositiveID’s iglucose is a wireless communication device for the automatic transmission of blood glucose readings from any data-capable glucometer to the iglucose database. It functions without the use of a cellular telephone, telephone line or personal computer. PositiveID expects to complete the design and development of the iglucose product in March 2011, and submit it to the U.S. Food and Drug Administration for 510(k) clearance shortly thereafter. Connected Development is finalizing the product design and embedded software development; validating its performance; managing network certification, and coordinating the manufacturing process for iglucose. PositiveID has also finalized the back-end software architecture for iglucose, which is based on Web 2.0 methodologies and facilitates an intuitive user interface, and user-centric design of the application. The iglucose platform, in its final stages, will provide an open-standards API, which will allow data from iglucose to easily integrate with other systems. PositiveID’s iglucose is designed to take the work out of diabetes management by automatically creating logs and journals, which, according to the American Diabetes Association, are an important assessment of an individual’s response to their diabetes care plan. Users simply connect their data-capable glucometer to iglucose and within seconds data will be transmitted via a machine-to-machine (M2M) network to the iglucose database. PositiveID believes the solution is ideal for individuals, healthcare providers, health insurers, wellness and disease management companies who are actively seeking solutions to reduce diabetes related costs. 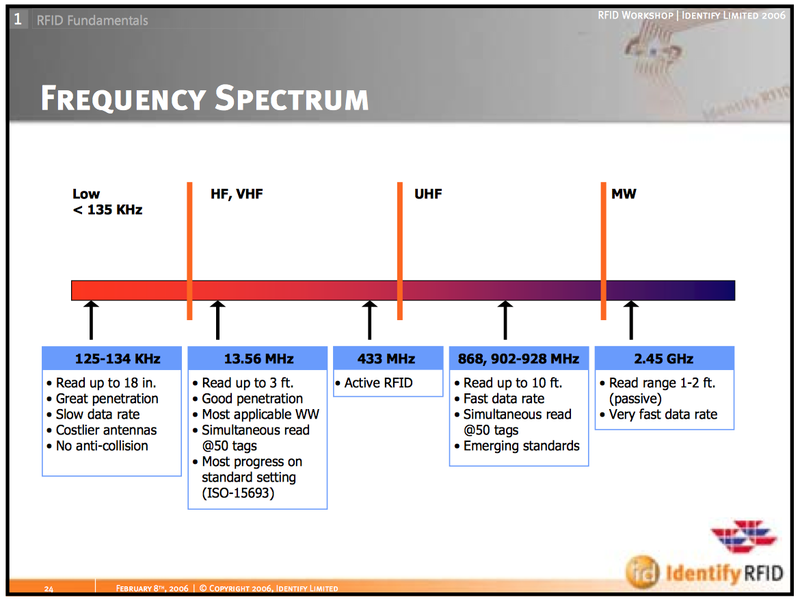 Cisco ( who also supply the Smart Meter routers to track Data for Itron ) have an interest in RFID for tracking products. I was implanted in 2004 by a surgeon my dentist sent me to who did nothing, but knock me out for 20 minutes and implanted a chip somewhere in my body or mouth, but from that day forward I’ve been living in the most frightening world I’ve ever known, studied like a lab rat from Universities all over the world. They have complete control of all forms of communications, destroy my business, cult like in every way possible. I have never know such evil existed! I can’t express that enough. These implants serve nothing positive for the human race, but they know how to physically and mentally torture their targets and their families and anyone who tries to help them. These people do it all in the name of research. All tax dollars are going to this research that will destroy the human race, our wonderful, not perfect, but still 100% better than being controlled. These are the people that need to be stopped NOW! This is a very thorough analysis of the crisis we are in. Thank you for the fine work, it is top notch.